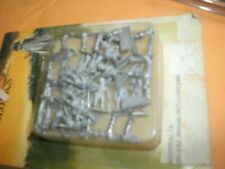 15mm wwii Old Glory Command Decision painted British heavy machine guns. Condition is New. Shipped with USPS First Class Package. Painted FOW color scheme. Minis are based on wooden bases. Any questions please contact me. 15mm wwii Old Glory Command Decision painted British Paratrooper's support. Condition is New. Shipped with USPS First Class Package. Painted FOW color scheme. These are new and never seen action. Minis are super glued, flocked and based on (2) 1"x2" and (5) 1"x1" Litko metal bases. Any questions please contact me. 25PDR & Morris Quad Tractor MINT/New. Product Line: WWII Miniatures - British 15mm. 4 Morris Quad tractors. (d20) D&D - 4th Ed. D&D - AD&D 1st D&D - AD&D 2nd Ed. World of Darkness - Old Ed. NM Near Mint. Lots of German early, mid and late war tank commanders and general vehicle drivers and passengers plus a huge variety of stowage to customise your vehicles. 3 sprues in a box. British SYW Light Dragoons Collection #1 NM. 19th Century Miniatures Old Glory - Seven Years War - Loose Miniatures 15mm British SYW Light Dragoons Collection #1 (NM) (skillfully painted). Product Line: Old Glory - Seven Years War - Loose Miniatures 15mm. Unpainted and unassembled plastic models. Product contains: 9 British Universal Carriers. Import duties are collected at checkout. Friendly Service. MPN TGRAB2. Kampfgruppe Müller New Plastic Army. Team Yankee. -1x mini Team Yankee rule book. This is the newer set with 3 Leopard 2 tanks and the mini Team Yankee rule book. Product Alternate Images. Soviet tank design is an evolutionary process, and the T-62 sits between the venerable T-55 series and the modern T-64 and T-72. It combines proven concepts and a powerful 115mm gun to create a nightmare opponent. Frigian Cavalry w/Bows on Lightly Armored Horses MINT/New. Product Line: Frigian 15mm. (d20) D&D - 4th Ed. D&D - AD&D 1st D&D - AD&D 2nd Ed. World of Darkness - Old Ed. EX Excellent. Lightly used, but almost like new. We are the manufacturers of Lance & Laser Miniatures! Two Greek Hoplite Warriors with ( male & female ) spear shield & great crested helm is sculpted by Jim Johnson in 28mm heroic scale and the model is supplied unpainted. Ral Partha: Battle Tech: TR-13 Transgressor. The Battletech range is still available online elsewhere. By Julie Guthrie. Product Line: Frigian 15mm. You will receive a random mix of 5 Ice Trolls. SW Shrink Wrapped. Still in the original factory shrink wrap, with condition visible through shrink noted. NM Near Mint. Close to perfect, very collectible. Easy Assembly plastic injection moulded 15mm WW2 German SdKfz 250 `alte` Halftrack Variants Kit. This kit contains 5 x 250 Halftrack and 40 crew figures. Each sprue has options to build either: 250/7 Mortar Carrier, 250/1 Troop carrier, 250/9 Recce with turret, 250/10 Command with Pak 36 and 250/11 Panzerbuchse 41. A minifigs blister as described. It is not automatically calculated. 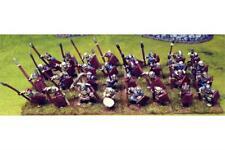 Alternative Armies Firefight - The Ion Age - Prydian Army 15mm Knight Errants (MINT/New). Product Line: Firefight - The Ion Age - Prydian Army 15mm. This contains three unique miniatures dressed in Alwite powered armor. Ancient British Archers #1 NM. Miscellaneous Miniatures Miscellaneous Historical Miniatures - Loose Miniatures 15mm Unidentifiable Manufacturer Ancient British Archers #1 (NM) (partially painted). Product Line: Miscellaneous Historical Miniatures - Loose Miniatures 15mm Unidentifiable Manufacturer. Gale Force 9, MTANKS: German Dice, MTANKS19, New, SBB000FAC-001, 9420020240520. 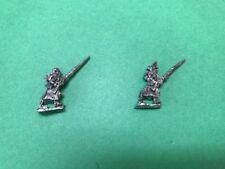 Essex Miniatures Fantasy Miniatures - Orcs Essex Miniatures 15mm Orc w/Sword & Shield #3 (MINT/New). Orc w/Sword & Shield #3 MINT/New. 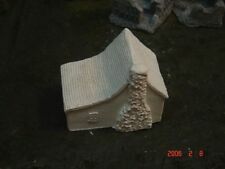 Product Line: Fantasy Miniatures - Orcs Essex Miniatures 15mm. Manufacturer: Essex Miniatures.